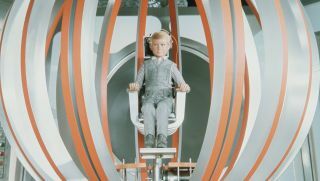 This month marks the 50th anniversary of the first broadcast of Gerry Anderson’s classic puppet show Joe 90. To celebrate, it’s been re-released in a new digitally remastered Collector’s Edition DVD box set. The titular nine-year-old is the son of a professor who invents a device called BIG RAT, which allows the knowledge and experience of one person to be transferred to another. With its aid, Joe becomes a special agent for the World Intelligence Network (90 is his codename) able to perform tasks such as cracking safes, flying fighter jets and brain surgery! Thanks to ITV Studios Global Entertainment we have five box sets to give away. To put your name in the hat for the chance to win one, simply answer the question below!